Secondary suites — rooms in existing homes converted to rental housing — are once again in the news, this time as Calgary Council Members seek zoning changes to allow such suites, primarily for student housing. The main objective is increasing stock to offset a low rental vacancy rate, which in Calgary hovers just a point above zero. Allowing these rentals in existing single-family homes generates controversy, especially from long-time residents who fear that renters, particularly students, could bring disturbances, parking issues and other disruptions to their doorsteps. For landlords, secondary suites can be a challenge, because for many, it’s their first time through the rental process. But, secondary suites can give rise to a special set of concerns. 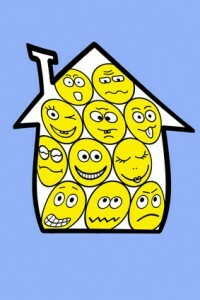 The informal nature leads to complacency when it comes to property management. That’s why inexperienced landlords are at the greatest risk for income loss. Without proper systems in place, it is only a matter of time before bad tenants see the opening. 1. The first step is to do the research to make certain that the rental unit is legal. Check local zoning laws or strata rules that could limit the ability to rent. An illegal unit not only compromises the landlord’s ability to enforce a lease agreement, it serves as a magnet for bad tenants, who often attempt to use the landlord’s mistake to their advantage. 2. A common area of liability for landlords with secondary suites is the condition of the unit and the resulting safety issues for the tenants. Before offering any rental unit, make sure building code issues, like blocked or limited emergency access, have been resolved. Install and test smoke and carbon monoxide detectors. Check old appliances for any potential dangers. Install deadbolt locks and a one-way peephole. Make sure there is ample outdoor lighting. Many first-time landlords underestimate the importance of tenant security, and that can lead to dire consequences. 3. Be sure to price it right. Setting an appropriate rent for the unit goes beyond profit considerations. It also affects the quality of tenants who will apply for the vacancy. A figure that is either too high or too low will attract the worst tenants. Setting the price too low flags inexperience, and sets the stage for other concessions down the road. Oftentimes it is the landlord who was trying to be helpful or generous that winds up losing money because tenants take advantage of the situation. Good tenants are looking for units at a fair price. They know they won’t have to pay higher than market because they will qualify for any number of properties. When a property is priced too high, especially if it remains vacant for several days, the tenants who are applying could include those who have no intention of paying the rent. 4. Learn to run tenant background checks. The informal nature of secondary suites encourages landlords to focus only on personality. Some landlords rent right on the spot to tenants who seem “nice”, but soon regret the mistake when the tenant fails to pay rent. It is a risk to income and personal safety to rent without screening tenants. That includes verifying identity, due diligence in verifying the information in the rental application, and running tenant screening reports, including a credit check, to flag problem tenants before they move in. Without tenant screening, the landlord/homeowner risks not just income loss, but the stress of living with a tenant from hell for months while an eviction is pending. 5. Develop the habit of keeping records. This should include everything from the rental ad to the final condition report. If a controversy should arise, it is imperative that the landlord can prove the respective rights and responsibilities. It is harder than it seems to recall precise details of a phone conversation or the dates of a repair request months or even years later when the case is heard. Good documentation bolsters a landlord’s credibility, and prevents unnecessary income loss.